Coretta Scott King — noted author, human rights activist, and wife and partner of famed Civil Rights Movement leader Martin Luther King Jr. — grew up in the rural Alabama Black Belt with her older sister, Edythe Scott Bagley. Bagley chronicles the sisters' early education together at the Crossroads School and later at the progressive Lincoln School in Marion, as well as the sisters' experiences matriculating at Antioch College, an all-white college far from the rural South. Bagley provides vivid insights into Coretta's early passion for racial and economic justice, which lead to her involvement in the Peace Movement and the National Association for the Advancement of Colored People. 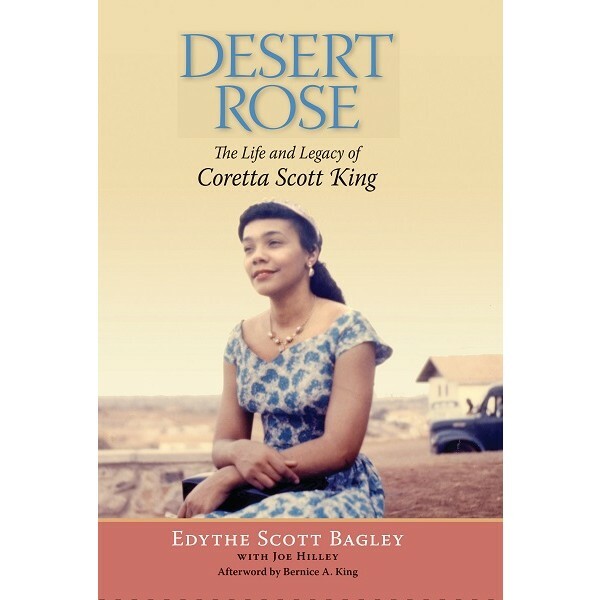 Desert Rose charts Coretta's hesitance about her romance with Martin Luther King and the prospect of having to sacrifice her dream of a career in music to become a minister's wife. 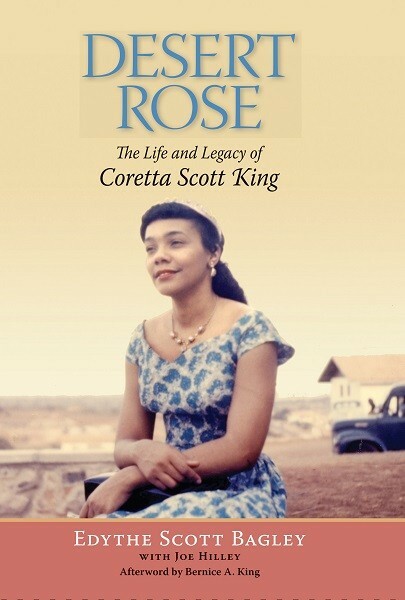 This book also charts Coretta's own commitment and dedication, in the years that followed King's death, to the causes of international civil rights, the antiapartheid movement, and the establishment of the King Center in Atlanta and the national King Holiday. Coretta's devotion to activism, motherhood, and the movement led by her husband, and her courageous assumption of the legacy left in the wake of King's untimely assassination, are wonderfully detailed in this intimate biography.